The first Ford Mustang GT California Special was first released in 1968 as a special dealer edition, influenced by a 1967 Shelby GT notchback coupe prototype, named the Mustang GT/CS. Now the car is back for 2019 along with the 50th anniversary Bullitt Mustang. 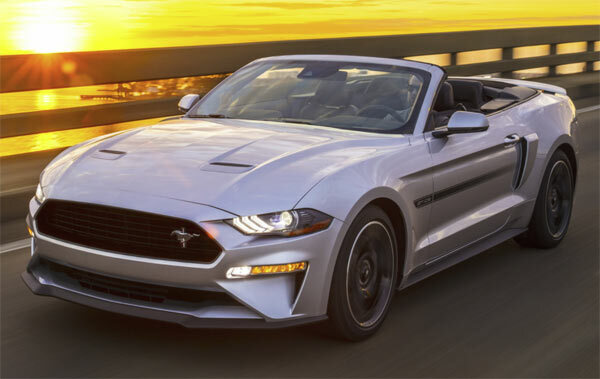 The 2019 version of the GT California Special moves along the lines of the original with a blacked-out grille and full-length stripe. It will also have a new front splitter, GT California Special badging and suede trimmed interior. It will house a 5L V8 producing 460 hp. Probably the most anticipated will be a new and upgraded Shelby GT500 next year with over 700 hp.